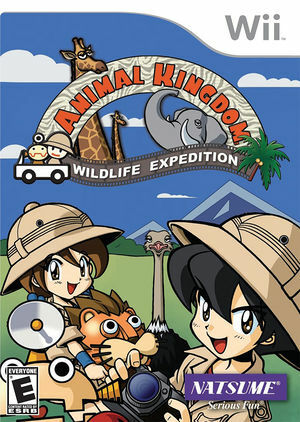 In Animal Kingdom: Wildlife Expedition, known as SAFAR'Wii in Europe, players take on the role of a wildlife photographer exploring the exotic and diverse wildlife of Animal Island. Each day, they'll be tasked with completing specific assignments, such as taking pictures of particular animals, groups of animals, or animals engaged in certain actions. Players will see a variety of exotic wildlife on their expeditions, including gazelles, gorillas, and elephants. Each animal is realistically detailed and behaves just like the real thing! Animal Kingdom: Wildlife Expedition boasts a diverse collection of environments. Players will explore savanna, jungle, desert, waterfall, and lake areas in their quest to capture the perfect picture. They'll learn to watch each environment carefully for signs that will lead them to the animals. The graph below charts the compatibility with Animal Kingdom: Wildlife Expedition since Dolphin's 2.0 release, listing revisions only where a compatibility change occurred. This page was last edited on 10 July 2018, at 17:47.